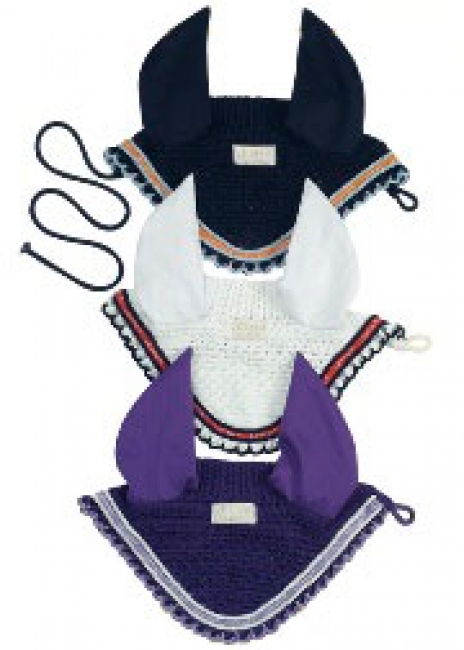 The Léttia Signature horse ear net has contrasting trim that coordinates with cord. The logo ribbon is flanked by the cord and Lettia logo patch above the forelock. Great fly bonnet for jumper classes.